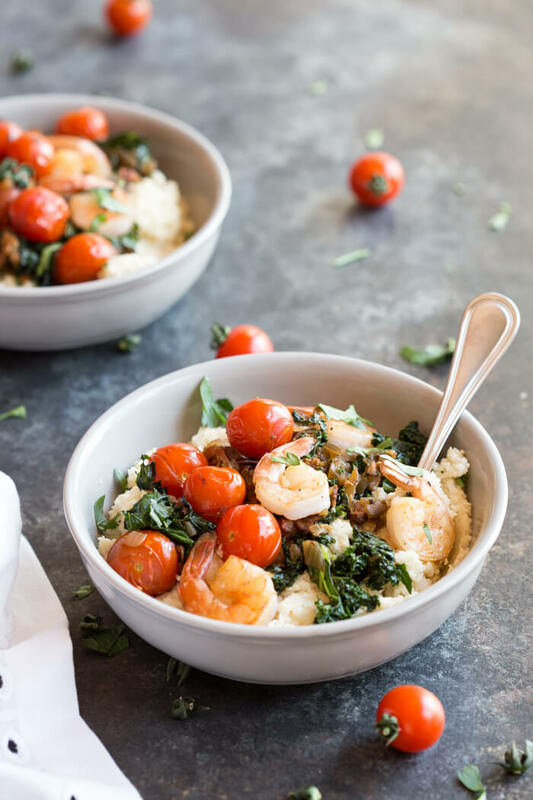 Shrimp and Cherry Tomatoes over Cheesy Cauliflower Grits, a low carb southern breakfast. 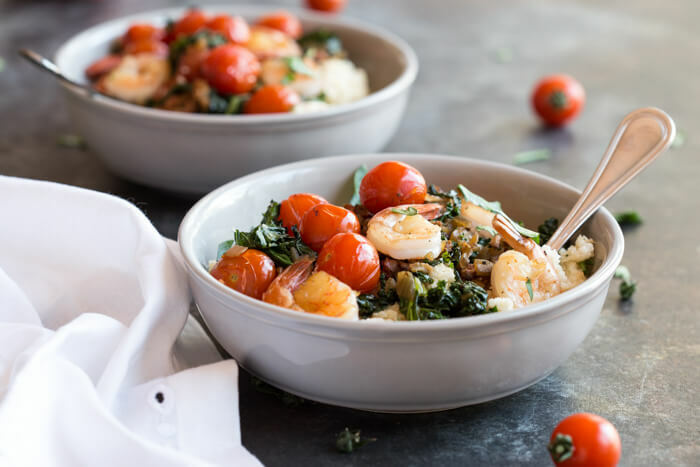 Cheesy cauliflower grits topped with savory shrimp, bacon, a hearty dose of kale, and blistered cherry tomatoes thanks to Village Farms Cherry no. 9 Fall in Love Again tomatoes. You guys, breakfast. It is the most important meal to me because breakfast food is my jam… in case you were wondering. And while I love me some pancakes and waffles and smoothies… savory breakfast foods like eggs and bacon and shrimp and cheesy cauliflower grits with tomatoes are like EVEN BETTA. I think I’m drawn to these savory style breakfasts because they are protein and veggie packed. Those two ingredients are the key to a healthy and balanced diet. 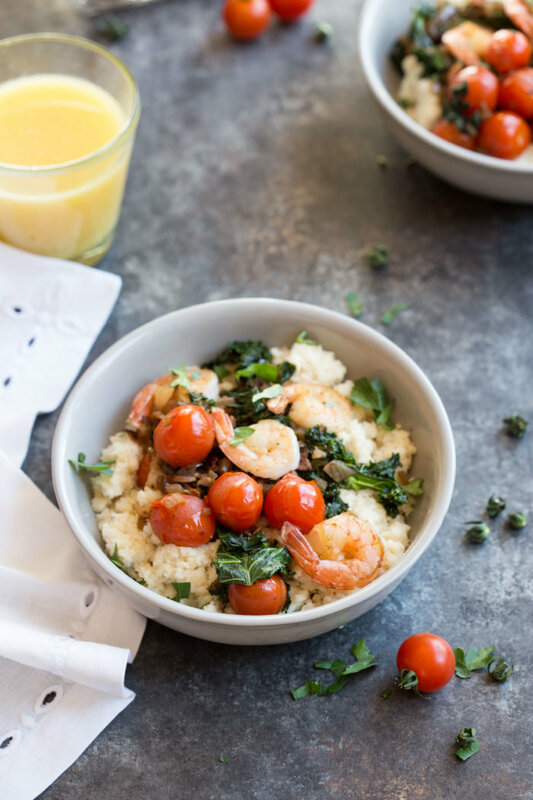 Most people don’t get in a enough protein or veggies at breakfast time, so Shrimp and Cherry Tomatoes over Cheesy Cauliflower Grits to the rescue!! This month is National Nutrition Month, so as an RD I’m bringing you this bowl of chedda grits to celebrate this nutrition holiday because who doesn’t love cheesy cheddar grits? Speaking of nutrition, I’ve teamed up with Village Farms, the leading producer of greenhouse grown tomatoes that are naturally GMO free. 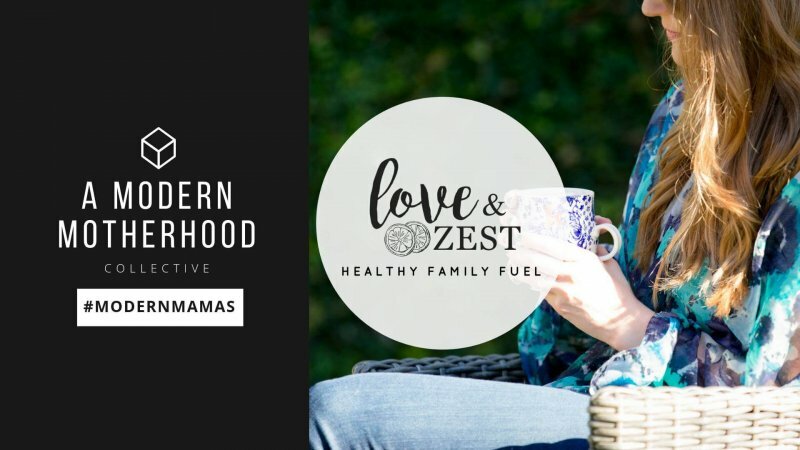 I’m so passionate about this company and their products that I’m proud to partner with them to bring you some breakfast tomato goodness this month. So get excited. I kid you not, these tomatoes will make your life. The Village Farms Cherry No. 9 Fall In Love Again tomato is one of the sweetest cherry tomatoes on the market! I love snacking on these babies right out of the container but they are perfect for grilling, roasting, and sauteing because their flavor develops even more when cooked. The taste cannot be beat in my book. Have you tried them? At only 20 calories and 4 grams of carbohydrate for 6 cherry tomatoes, they pack a big nutritional punch when looking at their antioxidant profile. Tomatoes are rich carotenoids which have been shown to inactivate free radicals, slow the development of atherosclerosis (plaque build up in the arteries), and even protect against cancer. Lycopene, a carotenoid that’s plentiful in tomatoes, has been linked to a lower stroke risk. That sounds like a mighty feat for the tiny tomato, but they’ve proved to get the job done! Oh and turn up the heat! Cooking the tomato provides big benefits because it unlocks the nutrition. In fact, heat through cooking increases the lycopene concentration and makes it easier for the body to absorb. 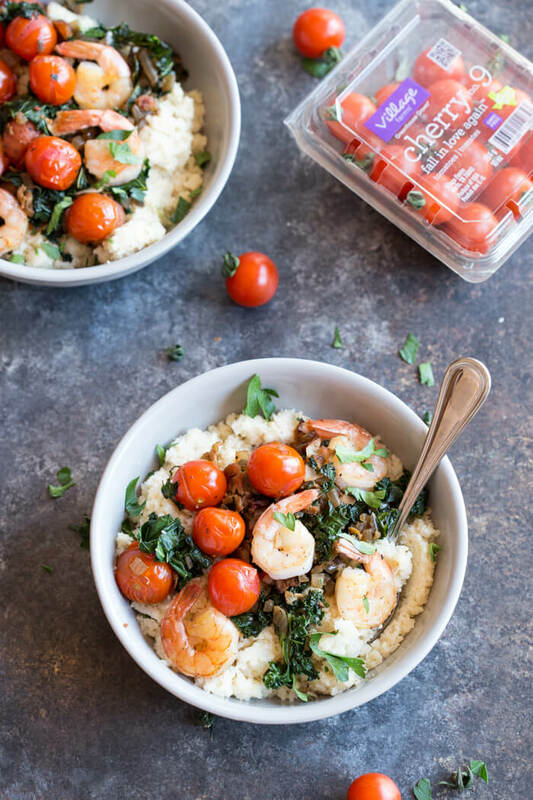 All the more reason to dig into this bowl of Shrimp and Cherry Tomatoes over Cheesy Cauliflower Grits! 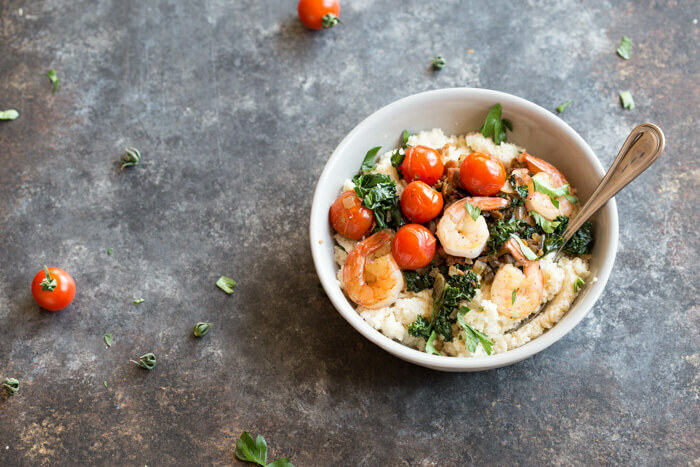 Shrimp and Cherry Tomatoes over Cheesy Cauliflower Grits, FTW. 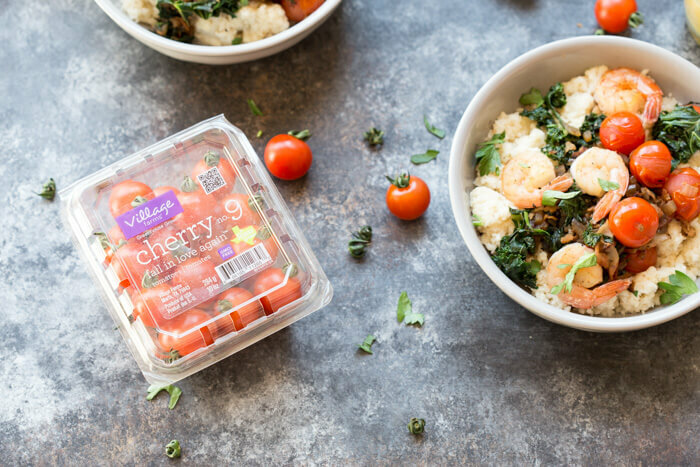 I’d love to know… have you tried Village Farms tomatoes? 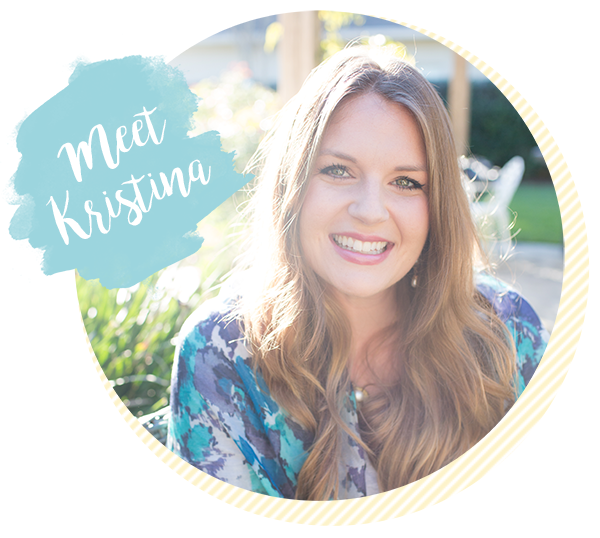 Hit reply to this email or leave me a note in the comment section below. I LOVE hearing from you. 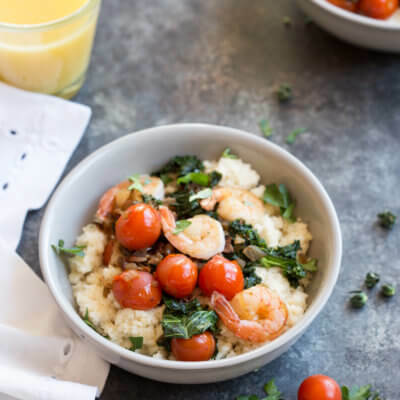 Shrimp and Cheesy Cauliflower Grits, a low carb southern breakfast. 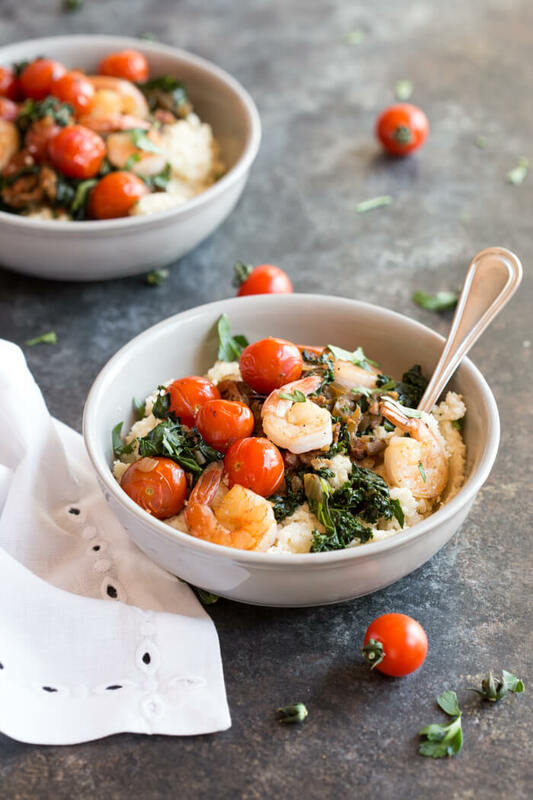 Cheesy cauliflower grits topped with savory shrimp, bacon, a hearty dose of kale, and blistered cherry tomatoes.